Mom Among Chaos received tickets to facilitate this review. All opinions are 100% our own. 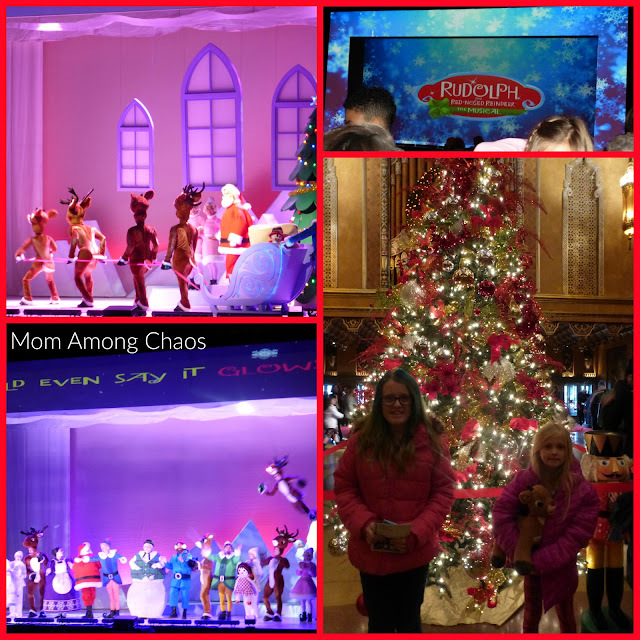 My daughters and I went to see an afternoon showing of RUDOLPH THE RED-NOSED REINDEER: THE MUSICAL this past Saturday. We had a fun morning attending breakfast with Santa at the Warren Community Center with the Warren Civic Theatre. Then we drove to Detroit to see one of our favorite movies come to life on stage. 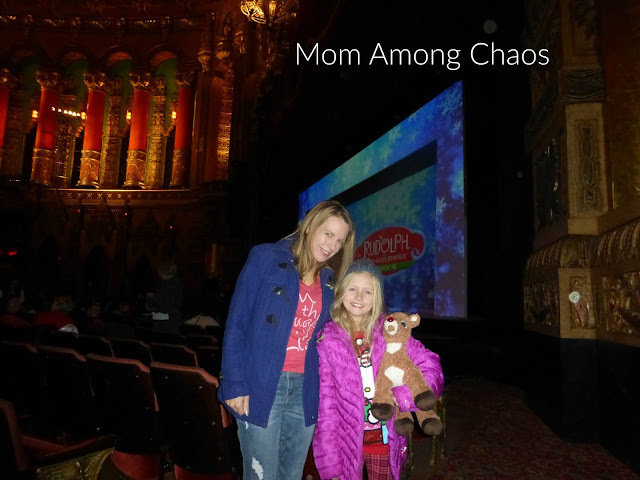 As you can see my youngest brought her talking stuffed Rudolph along. She was curious to see if he said all the same lines in the musical. It did not disappoint. Not only did they say all the classic lines, but there were also additional songs and dances. One of my favorite parts was when the elves were singing and dancing for Santa to the song "Rockin' Around the Christmas Tree". There are digital screens surrounding the stage to go along with the action and songs. I'm always impressed with the puppeteers, props, set changes, and actors flying around on harnesses. I was amazed by the vocals from the girl that played Clarice. 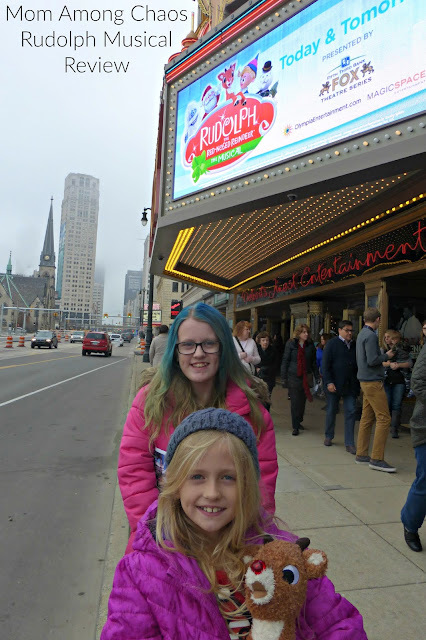 I would recommend going to see this musical performance when it comes to a city near you or if you live near Detroit go see a Fox Theatre holiday show this December. See all the Rudolph Tour dates & buy tickets here. Find upcoming Fox Theatre shows & buy tickets here.